To see feedback and discussions from actual Atlas investors, join over 1000 accredited investors at the 506 Investor Group. 506 Group negotiates lower fees and better terms versus investing direct. 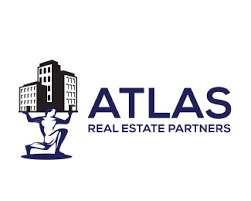 Atlas was founded in 2009 by managing principals Arvind Chary and Alex Foster. The two founders bring over 25 years of institutional investing experience to the investment platform which gives Atlas its competitive advantage of identifying and executing on value-add opportunities. Arvind and Alex have known each other for over 15 years having both attended college at Tufts University and completing graduate school at Columbia University. We acquire assets across the country with a primary focus on the Washington, D.C. metro, Southern Florida, New York metro, Boston metro, Chicago, and Texas, where Atlas has local partnerships. 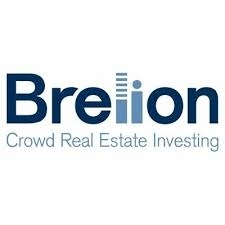 Typical investments are $10M-$35M in value, often falling below the institutional radar. Multifamily, student-housing, office, and retail. We will evaluate other assets classes on case-by-case basis. Our target properties typically generate stable, in-place cash flow, offer opportunities to directly add value at the property level, and possess long term upside potential. Atlas has executed 35 deals since being founded in 2009, with a combined value of $650M+. Atlas has a perfect track record of closing deals that are under contract. Atlas prides itself on best-in-class investor reporting. We're building software solutions that enable investors to view real-time reporting via secure online portal, sign investment docs online and receive distributions and K1's online. One of the first Crowdfunding deals I invested with in 2014 was with Atlas. They are a very profesional firm and have hit their projections. Reporting is timely and they have a dedicated investor relations team. I have invested directly with this sponosr as well. a unique micro hospial with a high projected IRR. I will invest with this sponsor in the future. My first crowdfunded deal as well. Hitting their projections on this. 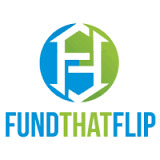 I also invested in another deal they did not list on a crowdfunding site and while I think it is going to turn out above projections, it is about a year behind schedule. The market they are in (DC) will be what saves them to hit their IRR numbers. The communicate very well and usually within one business day. Next time I go to NYC I plan on meeting with them in person. Will report back once I do.